I purchased this lipstick a month ago, and yes, I am in love. 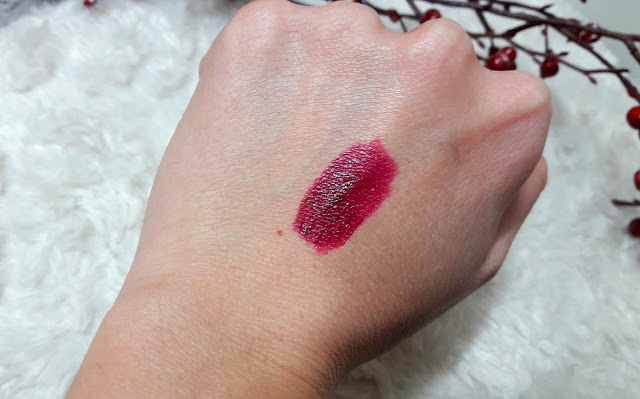 I thought this madness would be over and I would be able to enjoy the lipsticks I own and show them some love, but no, I had to ruin it and purchase some more. I always do things like that, but when it comes to lipstick, I can't say no to 'another one'. 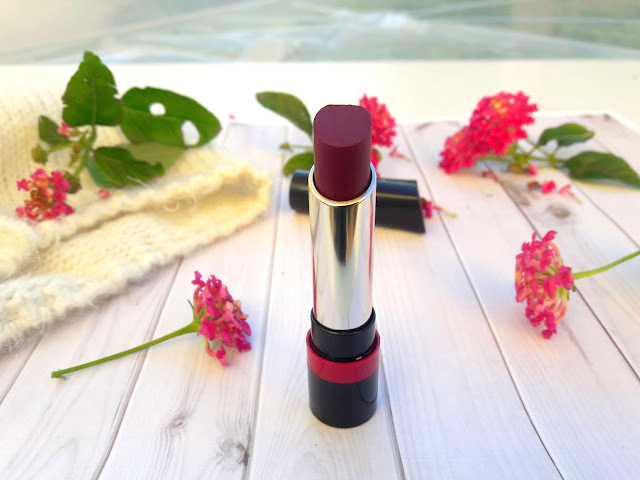 Lately, I am more into classic soft lipsticks since I am fed up with dry liquid lipsticks that feel uncomfortable on my lips and honestly, I prefer to use a lipstick that doesn't stay all day on my lips but feels comfortable, than having a lipstick that stays on for hours but feels horrible. Don't you agree? There are 15 shades in the Rimmel 'The Only 1' lipsticks, most of them pink and red toned and one or two berry shades. First of all, the packaging. I really like it. It's a black tube with the Rimmel logo all over the cap and the top is diamond shaped that makes it more special and unique. On the bottom, there is a purple sticker with the name and number of the lipstick. The formula of this one is creamy and glides beautifully when applied. I read a review before purchasing this lipstick that said this one has the driest formula of all 15 shades. My luck! But I fell in love with this shade, it is stunning! It feels nice on the lips, quite comfortable I would say and leaves a beautiful satin finish. And imagine if this one is the driest of all shades, how creamy and beautiful all other shades will be. Under My Spell is a deep plum/berry shade. It appears to be more reddish than it looks in the tube (it looks more vampy and darker but in real life it's a different shade). Pigmentation is medium and needs to be applied several times to produce enough colour. But this is not by any means sheer. I love the fact that this lipstick is moisturising and gives a nice colour and a glossy finish. It has a staying power of a decent 4-5 hours without eating or drinking anything, since it transfers to almost anything that touches your lips (no kissing either!!!). 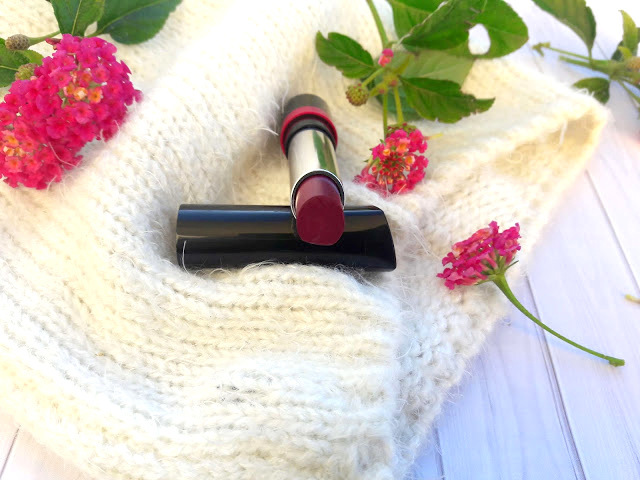 But the shade is perfect for fall and winter and I love the creamy formula and I have been wearing it for almost a month and I will make the most of it next fall. 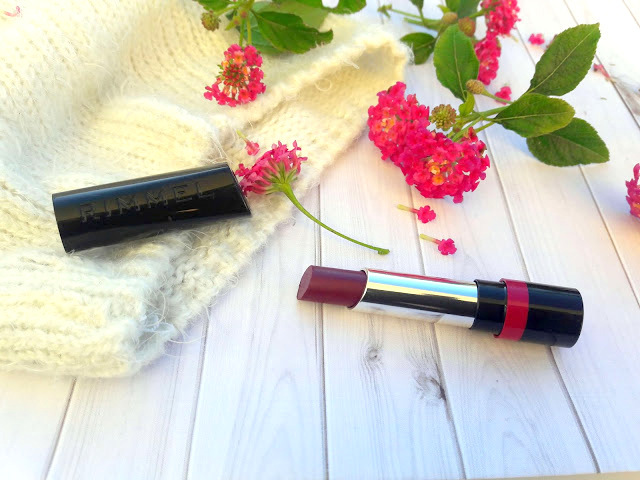 Have you tried the Rimmel Under My Spell lipstick or any other shade from this range?